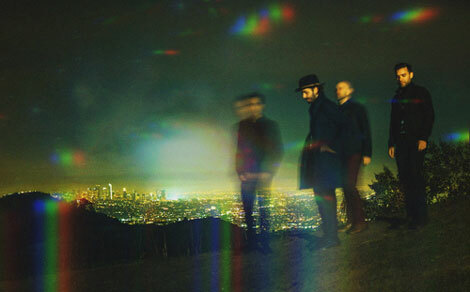 “When the Night is Over,” a new song from Lord Huron, debuts today. Of the track, singer/songwriter/producer Ben Schneider says, “We wanted this song to feel something like a Raymond Chandler story, a desperate search through a rain-soaked, neon-lit city. The groove section in the middle is one of my favorite passages on the album.” The track appears on the band’s highly anticipated record Vide Noir, out April 20 on Whispering Pines/Republic Records.